Our London team has been strengthened by two new hires. Aminah Cohen-Shah and Vivian Naydenova have joined the firm to expand our digital marketing offering. Digital account executive Aminah manages a range of clients from the not-for-profit, educational and professional services sectors. 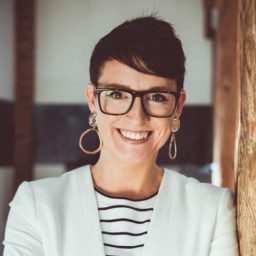 Educated at the University of Edinburgh with an MA in English Literature, she has most recently worked at Sotheby’s and prior to that at Harper Collins and an EdTech start up. In addition to managing accounts, her role supports the SEO and paid media teams with strategy, keyword research, search intent and demand analysis, organic search visibility reporting, copywriting, audience persona development, content marketing and user journey analysis. Digital Marketing Analyst Vivian has joined the data and analytics team, working with Google Analytics, data visualisation, conversion rate optimisation and creation of data reports. She will also be performing health checks on Google Analytics accounts, ensuring the highest quality of data is collected, while managing Google Tag Manager accounts in order to support data collection from digital campaigns. Vivian has a BSC in Management with Marketing from the University of Bath and has most recently worked at Intel, where she was involved in creating global digital marketing campaigns. As part of our London expansion and increasing the level of service we are able to give our clients, we have hired Vivian and Aminah. They have settled in to our office incredibly well, and we look forward to them being integral to our growth. With Aminah’s verbal and written communication skills and Vivian’s affinity for all things data, they have made excellent additions to our team.